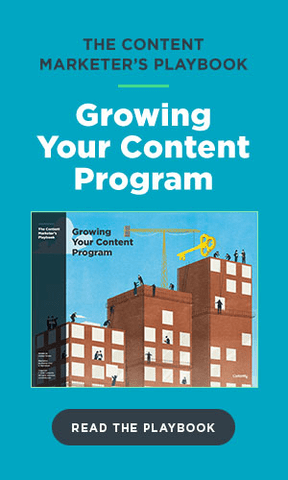 Content marketing may be the hot new trend in the media world, but it’s also the underdog—the discipline with the least budget, most doubters, and highest degree of difficulty when it comes to doing it well. But when you’re doing it well, it’s also an incredible amount of fun. As David Carr said, “Creating media content is a diverting activity that rarely resembles actual work.” Every day, I remind myself of that, and how lucky I am to lead a team that spends its days telling stories here on The Content Strategist and on our other publication, The Freelancer. Last February, we shared 25 quotes that inspire us. This year, we’ve added 25 more from great thinkers, writers, and marketers that get us pumped to tell better stories every day. Hover over each image for easy sharing.